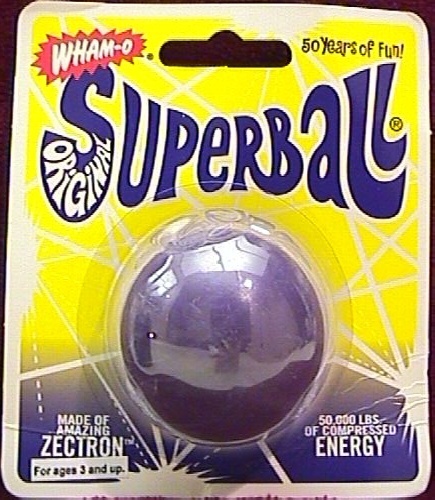 Original Wham-O ® Super Balls ® - - 1998 "50 Years Of Fun" Commemoratives. in commemorative "50 years of fun" packaging. Click on any image to see the "high resolution" version. Use browser "back" to return. 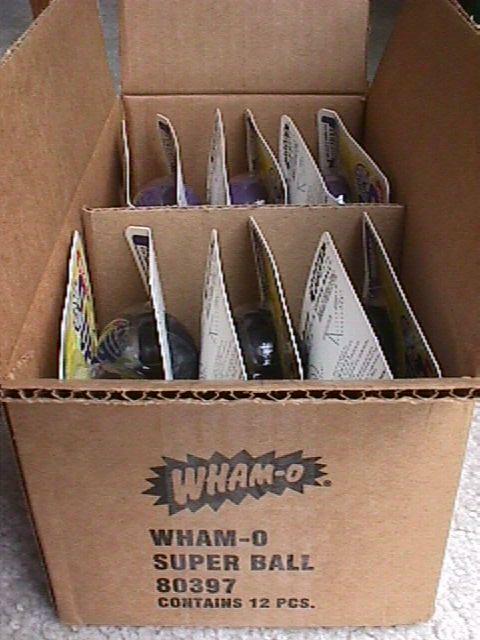 These Wham-O® Super Balls,® in the above "commemorative" "50 years of fun" package (a) are purple. These are available from time to time at eBay auction only here. themselves (though made in 1998) were made using the 1976 molds and thus bear that "1976" logo and copyright date. 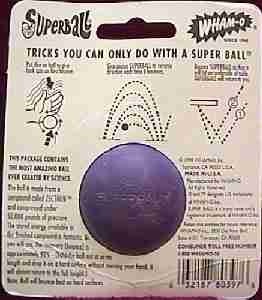 Original "1976" balls were not made in purple. 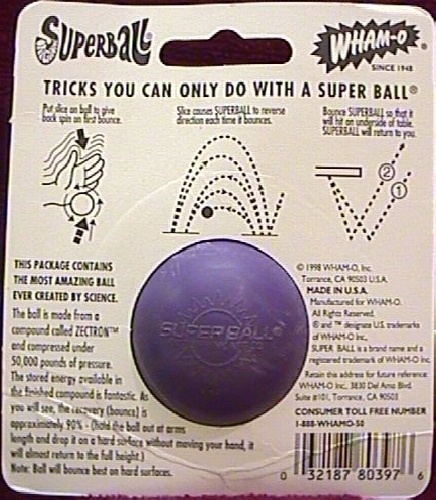 These balls were made in the USA and packed in Mexico. in the Keychain package, were the last to be made with the original Zectron ® formula of Polybutadiene. applied and then removed Toys-R-Us ® price stickers (Toys-R-Us ® had the initial deal for distribution but it fell though). in the bubble covering the ball being typical. 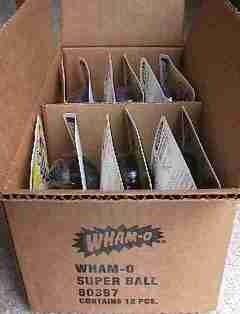 Package condition will vary from pictured as each one is different. All that said my standard practice is to ship the best first. Again... these are available from time to time at eBay auction only - - here. Click here to see the superballs.com "holster"